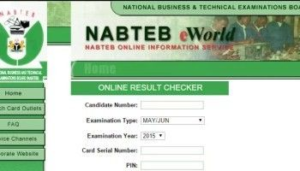 NABTEB stands for National Business and Technical Examinations Board, if you need their certification which is widely acceptable in all private, state and federal government institutions in Nigeria and abroad then you surely must participate in the exam that has been scheduled to hold soon. You might have asked when is NABTEB Timetable coming out for the 2019/2020? Well we now have the original timetable at our finger tip and we are ready to share it with you so that you can plan ahead of time and prepare your self for the forthcoming National Business and Technical Examinations Board (NABTEB) exam. NABTEB Timetable 2019/2020 is officially out right now. Information coming to postutmeadmission.com.ng have it that NABTEB exams starts officially on Monday, 6th May 2019 and the closing date will be around Friday, 31st May 2019. We hope you find this timetable helpful to you. Don’t waste any time, start reading and preparing for the NABTEB exams that comes up now. Please note that the results shall be ready in few weeks time after the exam might have been concluded, which will be before you start taking your post UTME screening exam. If you have any questions as regards to NABTEB exams, starting date, closing date or any further questions please use the comment box below so that we can respond to you timely. thanks for the info. Please how legit is it?